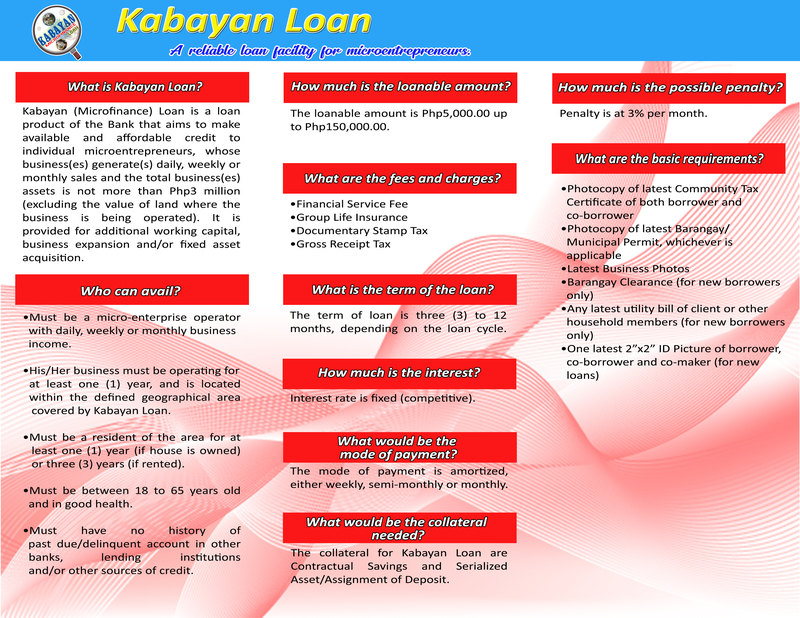 Enhance the operation of your microenterprise through FICOBank’s Kabayan (Microfinance) Loan. This cashflow-based individual lending facility is specifically designed for microentrepreneurs who are in need of additional working capital. You’re in, if your microenterprise generates daily or weekly income and is located in the poblacion area.